Leeds, UK, 27 September 2018 – Almost a quarter (22 percent) of businesses leaders with road-going employees are leaving themselves vulnerable to reputational damage, heavy fines and even corporate manslaughter charges. By failing to monitor their company drivers properly businesses are leaving themselves vulnerable, according to new research from ​BigChange​, the mobile workforce management technology company, working in partnership with ​Brake​, the road safety charity. The research, which was conducted by ​Opinium​ and published to coincide with the launch of Leaders for Life​, a new campaign to help business leaders promote safer driving at work, shows that older bosses are most guilty of being disinterested in their employees’ driving. More than half of leaders (54 percent) aged over 55 with responsibility for company drivers take no action to monitor or manage their behaviour, despite nine in ten (87 percent) saying that road safety is an important concern. By contrast, just six percent of business leaders aged 18 to 34 fail to monitor their drivers. Young bosses employing company drivers are nine times more likely than their older counterparts to take steps such as implementing vehicle tracking, license checks and random drug and alcohol testing. BigChange’s survey also revealed that business leaders are more concerned about cyber security than road safety. While 57 percent of leaders surveyed said that road safety was ‘very important’ to the operation and reputation of their organisations, the figure increased to 63 percent when asked about cyber security matters. The research revealed that the ‘grey fleet’, employees who drive their own cars on company business, represents a significant area of vulnerability. One in five (19 percent) businesses make no checks of grey fleet drivers, compared to 14 percent of businesses for professional drivers and company car users. The ​Department for Transport published figures today​ revealing that there were 1,793 reported road deaths in Britain in 2017, five a day on average, and 170,993 casualties of all severities. Leaders for Life is a new campaign, created by BigChange and backed by Brake, to raise awareness of the contribution business leaders play as role models for road safety and reduce the number of people killed and seriously injured on Britain’s roads. BigChange is providing its driving analysis technology free of charge to business leaders so that aspects such as speed, braking, acceleration and cornering can be evaluated. It will provide confidential feedback on leaders’ driving habits and donate £1,000 each month to Brake on behalf of the best and most improved drivers. BigChange aims to recruit more than 1,000 business leaders to support its campaign by acting as role models for road safety by the end of the year. 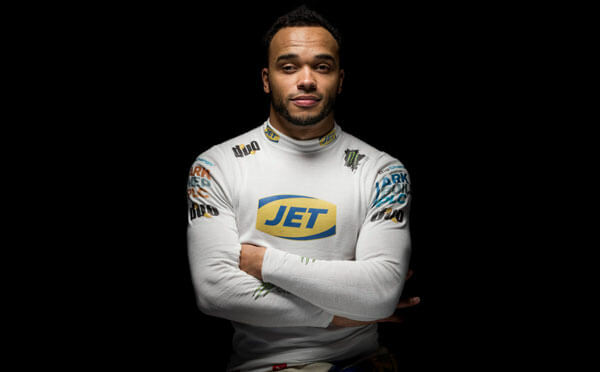 Des Evans OBE, formerly managing director of MAN Truck & Bus UK, Richard Burnett, Chief Executive of the Road Haulage Association, and the British racing driver Nic Hamilton are among the leaders who have already agreed to take part in the campaign. Business leaders wishing to be ambassadors for safer driving can register to support the Leaders for Life campaign at ​https://www.bigchangeapps.com/leadersforlife/​.